I haven’t managed to report it here, (so much for New Year’s resolutions) but I’ve been fortunate in getting my pictures into a number of juried exhibitions last year and this year. Now, I’m having my first solo show. (Hurrah!) 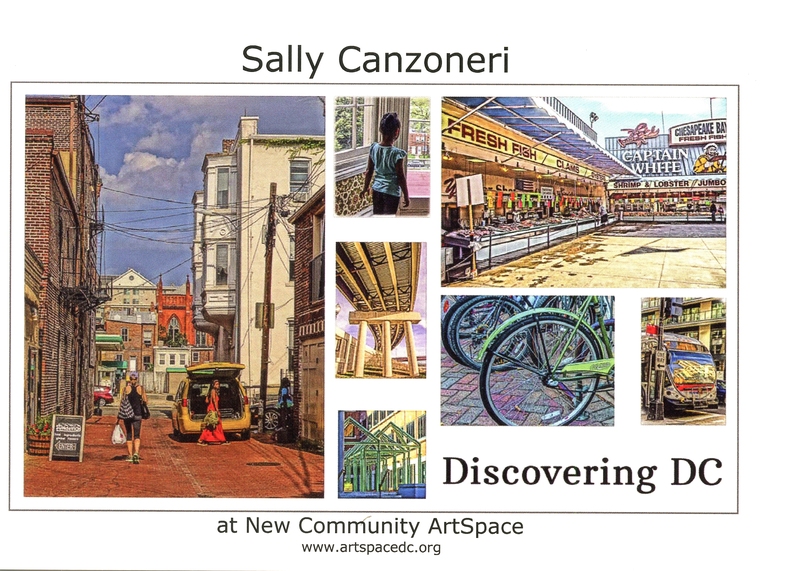 It’s at New Community ArtSpace, at 614 s Street NW, in DC’s Shaw neighborhood from now through August 2, 2015, with an artist talk and reception on June 14 at 1:30-3:00 pm. I was delighted when Rachel Dickerson, the lovely director of Artspace, gave me copies of (hard copy) postcards to publicize the show. Though I’ve had work in numerous juried shows by now, none of the postcards advertising them has featured any of my pieces, so it’s kind of a kick to see my pictures on the cards. Here’s what the cards look like (Front & Back): If you want to read a bit more about the show, you can look at the press release put out by ArtSpace: DDCPress release. If you want to see the show, you can go on Monday to Friday 10 am to noon, and enter the building through the side entrance. (follow the ramp and dial #01 or dial 202-332-0220). 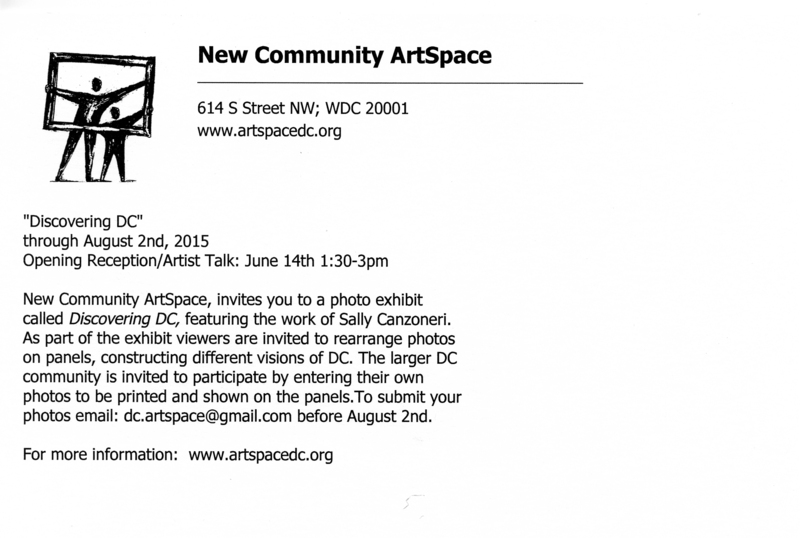 You can see the show at other times by contacting Rachel at dc.artspace@gmail.com. 614 S Street is between 6th and 7th Streets across from the old Wonder Bread Bakery, a block form the Southern entrance to the Shaw-Howard University Metro stop.